Everyone says they wish phones weren’t so big, yet we all seem to appreciate the extra real-estate once we have our own phablet. Pocket, the “read-it-later” app, collected data from 2 million article and video opens with its app to amassed some telling numbers on users who own both a phone and a tablet to show how screen sizes affect when and where users will consume content. Before the iPhone 6 and 6 Plus came out, it found iOS users viewed about 55 percent of content on iPhones vs 45 percent on iPads, pretty much an even split. After the new phones were released, those numbers shifted dramatically – iPhone 6 users now consume 72 percent of content on their phone, and the figure stretches to 80 percent for iPhone 6 Plus users. You could assume those numbers are simply a reflection of the ‘newness’ of the iPhones, but Android users have witnessed this trend for a while – according to Pocket’s data, they also consume 80 percent of content on their phones as opposed to their tablets. It’s not just the ratios that change with a larger phone either – Pocket suggests users simply read and watch more content in general when they have access to larger screens. iPhone 6 users open about 33 percent more articles in Pocket than on the 5s, whereas 6 Plus users open 65 percent more. 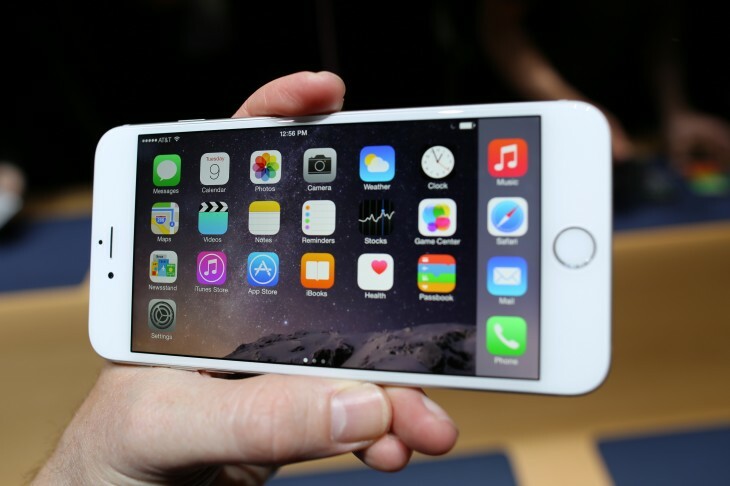 6 Plus users also watch 40 percent more video than 5/5s users. If this study is evidence of a larger trend, the iPad mini seems particularly redundant for someone with a 6 Plus. All this information, coupled with slowing iPad sales, show the need for a new direction – tablets will have to move more rapidly towards more robust content creation features and productivity if they want to remain relevant. Maybe the Surface is on to something with its focus on productivity. The data also serves as a possible explanation for the relatively meager adoption of Android tablets compared to the iPad – tablets are simply less useful for users who are accustomed to phones screens 5 inches and above.